We started our morning by driving to Ocean Beach, where surprisingly abundant parking spaces welcomed us. 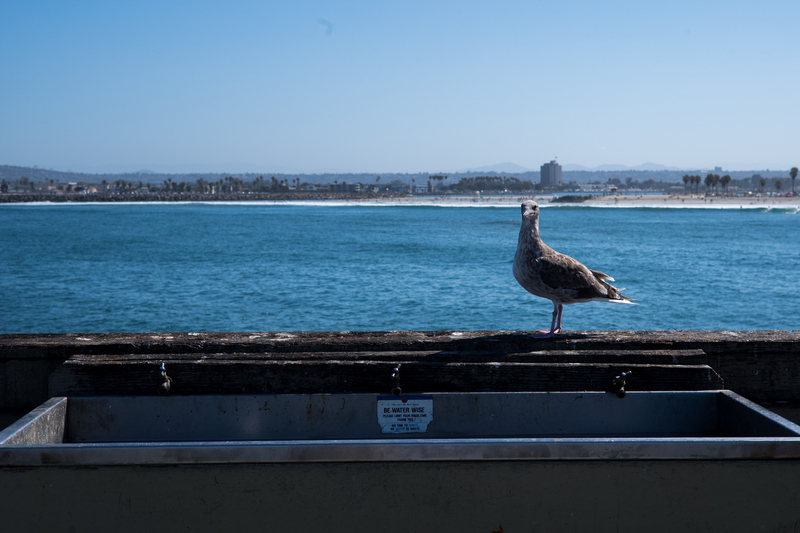 While unremarkable, the Featured Image marks the moment, on the fishing pier, captured using Leica M10 and Summarit-M 1:2.4/50 lens. The portrait’s appeal—to me, anyway—is the bird’s expression. Vitals: f/5.6, ISO 200, 1/1000 sec, 50mm, 9:35 a.m. PDT.